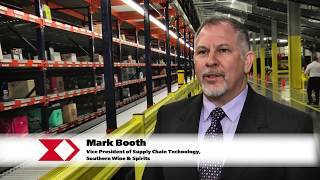 Satellite® Racking System | Automated Warehouse Solutions - Westfalia Technologies, Inc.
Safely stores and retrieves pallets of all shapes and sizes. 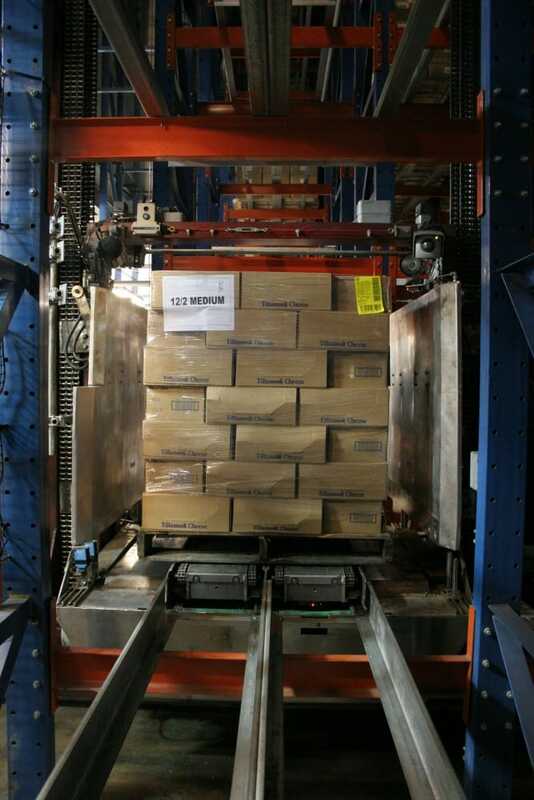 Westfalia Satellite® technology is a fully automated rack entry vehicle used in our AS/RS to store and retrieve pallet and palletless loads. This exclusive pallet racking technology can handle various pallet types including custom sizes, with the ability to store pallets with either the long or short side leading. The Satellite® can accommodate a standard weight capacity of 4,400 lbs. and is distributed evenly over 20 wheels to eliminate cantilevered load moments. 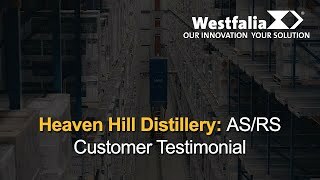 Using a counter rotation principle, Westfalia's Satellite® quickly and safely moves pallets at a rate of 30 to 120 pallets per hour per storage/retrieval machine (S/RM) with gentle starts and stops. 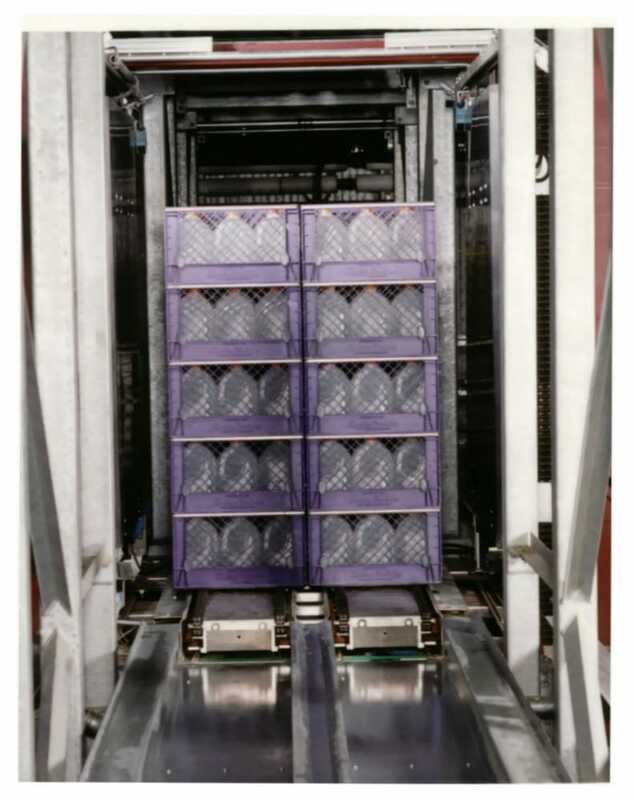 Utilizing this Satellite® pallet racking system technology to store and retrieve pallets in a high-density, multiple deep system configuration can significantly increase the capacity of existing storage space. Westfalia's Satellite® technology transports loads in a variety of sizes and shapes including pallet and palletless unit loads. 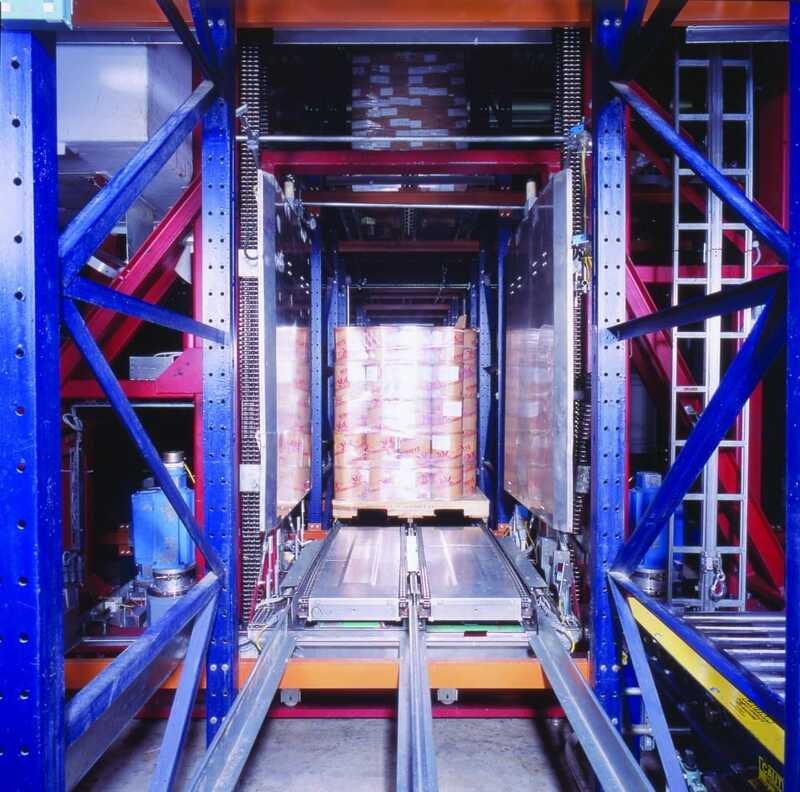 Westfalia's Satellite technology provides precision placement and retrieval of pallets within the racking structure, with constant spacing. 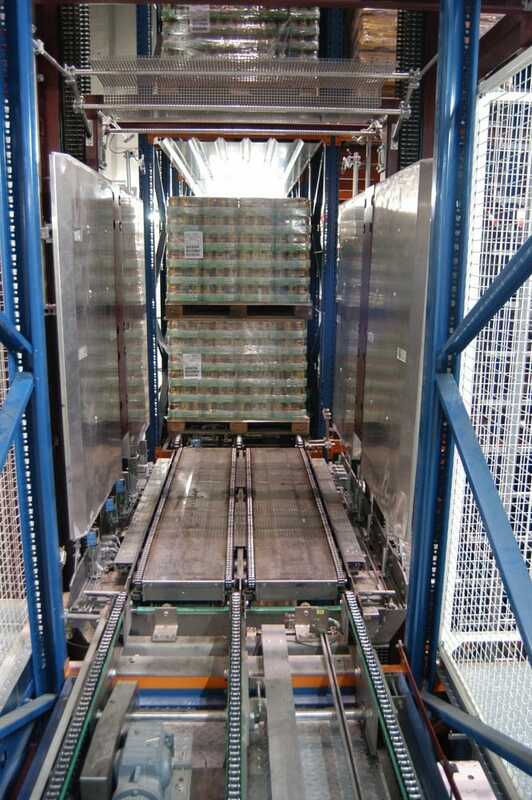 Westfalia's Satellite racking technology is capable of storing pallets in lanes ranging from 1-deep to 12-deep on each side of the S/RM aisle. 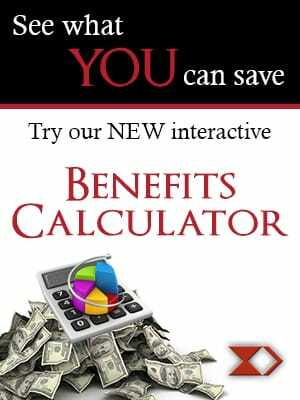 The Satellite design gives many benefits over and above the telescoping shuttle designs. Telescoping shuttles are subject to deflection due to the cantilevered design. This cantilever imparts high loads to the S/RM and the telescoping shuttle which leads to greater “wear & tear” and ultimately higher maintenance.